Incorporating a braided setup to your spinning reels can be a game changer, no matter how often you fish, or why. Mainly because a braided fishing line is tougher yet sensitive enough to feel even the lightest touch from a fish. 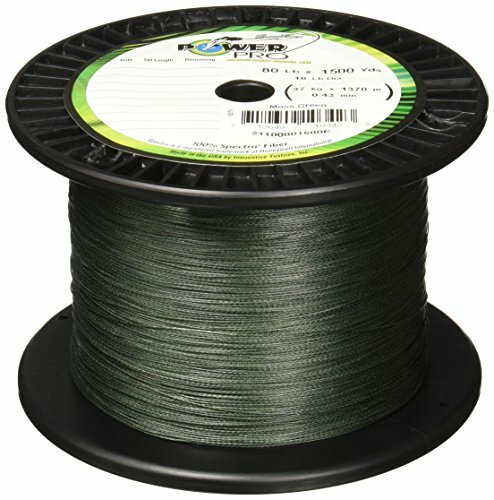 Braided lines are also versatile enough to use for any species, and in any situation an angler may find themselves in. Also, a braided line lasts for quite a long time on the reel while requiring minimal maintenance. Most are also UV resistant, abrasion and rot resistant. In fact, using a braided line has so many advantages that I can only think of one aspect that I could call a 'disadvantage' - the visibility that some bright colored ones have in the water, as this can be a distraction when fishing in clear water. Other than that, I'd recommend using it. 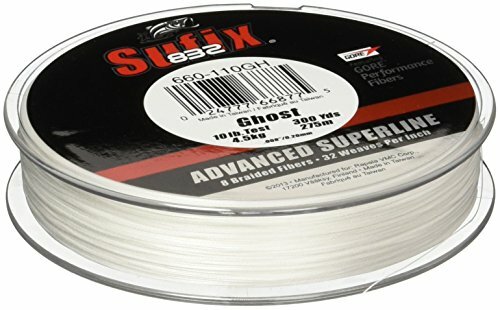 And to help you along, I've compiled a list of the best braided fishing line brands for spinning reels. Enjoy. KastKing is an award winning brand that has been committed to providing affordable fishing equipment to anglers since its inception. 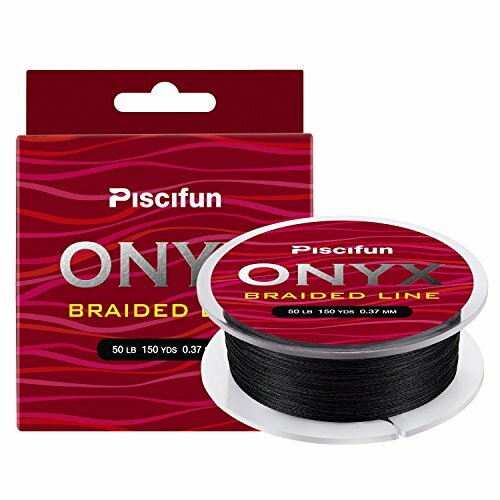 This particular braided line is made using 8 strands of super strong polyethylene braid fiber with high molecular weight. This is what gives it super strength and that signature supple feel. With the Piscifun braid, you can choose from either 4 or 8 strands made from a durable fiber and with 10 lbs-50 lbs and 65 lbs-150 lbs of power, while the price depends on the number of yards that you choose to purchase. The knots on both options tie well, resulting in a smooth cast, and the line is super sensitive and has low memory. The braid can hold it's own in any environment including salty, muddy or clear water. As alluded to in its name, this line is made from UHMWPE fiber, which is a limp kind of fiber that's known for its incredible strength and is said to be more resistant to abrasion than carbon steel itself. Needless to say, the material can handle all manner of environmental conditions, and it's great at avoiding wind knots. On the other hand, it's quite a lightweight braid with low water absorption and decent sensitivity. You get four strands from 12 lbs - 40 lbs, and 8 strands from 50 lbs - 100 lbs, and all at varying prices. The Power Pro brand is very popular amongst anglers even though their products tend to be a bit pricey. 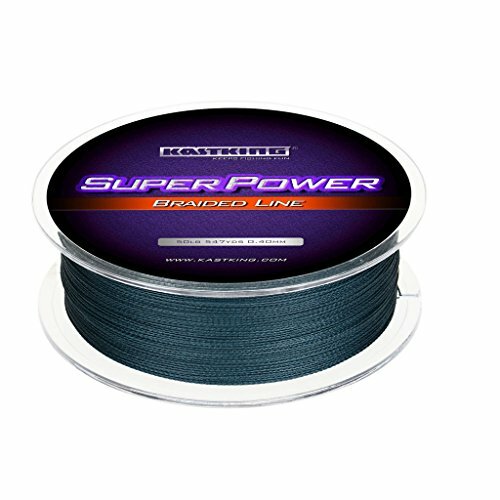 Created with super strong Spectra fiber, this braided line is further treated with enhanced Body Technology for a perfectly round shape and super strong line. 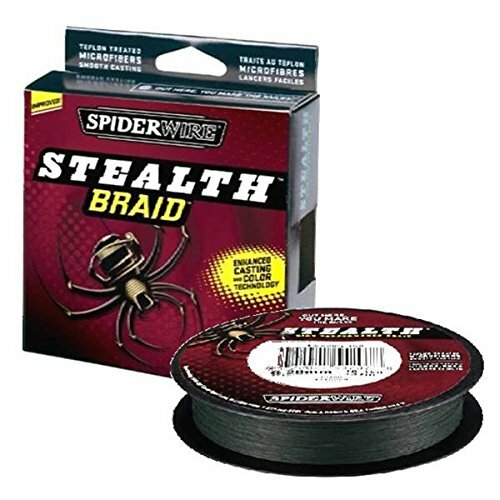 It has sensitivity enhancing three-end braiding, incredibly low stretch and offers superior performance in clear water. The price differs based on the different length options which range from 150 to 3000 yards, with a thin diameter of between 0.005 inches to 0.035 inches. The overall package comes with an Arbor tape and a built-in cutter. The Spiderwire line is made from a fiber known as Dyneema Microfiber which has been treated with Flour Polymer for added strength and accuracy. 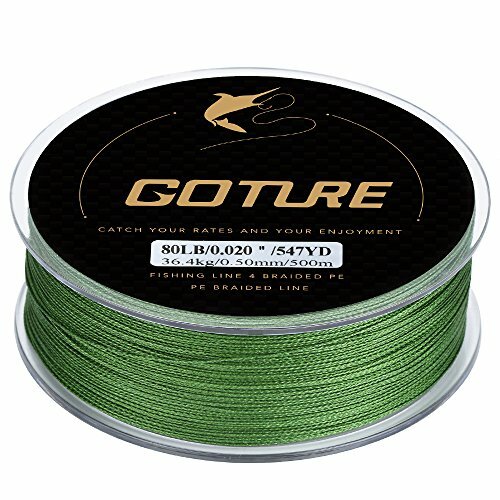 Targets won't see you coming thanks to its moss green color, whereas the bright yellow options are available for those casting in muddy water and want the line to remain visible. The line has a thin diameter and zero stretch which makes casting smooth, silent and accurate. 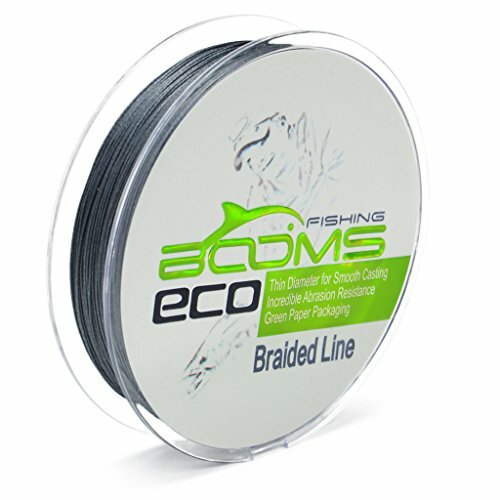 This small diameter braid line is made using a combination of the best fibers on the market, namely Dyneema and GORE Performance Fiber. Apart from its durability, this line has incredible abrasion resistance, and casting is smooth and wide. The braid is available in different sizes from 6 lbs to 80 lbs, with diameters of 0.14mm to 0.34mm respectively. It also doesn’t form wind knots, and you can expect high performance immediately- no break in period! Thanks to the Dyneema fibers, this braid has amazing water repelling properties and sensitivity. Price varies according to the number of yards purchased as well as lbs per test rating. There's honestly nothing to not like about this line, it's great. This comes with four strands per braided line and is woven from specialty fibers known for their strength and sensitivity. It has a small diameter and impressive color retention qualities that make it less detectable to fish and allows you to catch more targets in the long run. It's a durable line that's resistant to abrasions, and it delivers high performance and casts smoothly on the water. The price differs according to lbs test rating and the number of yards purchased. Using a braided line is a popular choice among anglers today, and anyone who's tried it will tell you how much it's changed the game for them. From experiencing smoother casting, to being able to reel in bigger and difficult to catch fish, a braided line is efficient on so many levels.